Undoubtedly the most wonderful time of the year, Chanukah and Christmas are also the biggest gift-giving holidays of the entire year. Although these celebrations are honored and bound by a revered faith, there are those that would argue that their religious significance has paled against the relentless commercial push of “consumerism on steroids” campaign. Overindulgence is at an all time high (justifiable to some) and dangerously contagious. Some of us buy just to buy because it’s in our face. Often things we don’t really need. And hey, when it comes to the kids, we can’t help ourselves. It’s always about the kids, isn’t it? But even if good parenting translates into making sensible choices and buying really useful gifts, it may be somewhat fruitless. Truth be told, I’ve seen way more evidence of succumbing to the mania from the grandparents, lol. Refraining from buying just one more gift for those adorable grandchildren is just too hard a battle to fight. So as they open their hearts, they open their wallets. Again and again. The result of all this indulgent shopping? Our households may become manic and cluttered with new toys, clothing, and technology, but I say- it is a blessing in disguise. The overwhelm may happen differently for each one of us. But the truth is, we will ultimately face the harsh reality that our overabundance has impacted our spaces. Without any regard for an exit strategy, we will be suffocated by the endless parade of incoming. Notwithstanding, we will eventually run out of room to enjoy any of it. It is the perfect storm. Time to let go of the old and embrace the new. Or not. At least evaluate what you love and need and get rid of the excess. Be more ruthless with the purge. Don’t count the new replacement to last year’s worn or torn socks as the difficult toss. Instead, (myself included) let’s count our coats as we invite yet another one into our already crowded closets. If we deduce the ratio of coats to people, we might be inclined to let some go. Consider this gift-giving season a gift of opportunity to live a more purposeful life. Understandably, so many new gifts exchanged all at once can be both exciting and overwhelming at the same time. Our hearts are full but so are our homes. The good news is that it may also cause us to rethink our too much versus our enough. Weighing in on what really matters and understanding that the holiday embodies joy with or without the things will help one to decide. I can remember a time as a young mother when I realized my children had too much. With eight consecutive nights of Chanukah gifting, they were so easily attracted to the newest shiny toy and swiftly neglected the other ones from the previous nights. How could I expect them to appreciate so much at the same time? This was not fickleness, it was overkill. Nothing was special if everything was. It was my too much, and from that moment on, I managed the gift-giving more mindfully. Setting limits, purging, and charitable donations are all great teachable moments we can gift to our children this time of year. So brace yourselves for this holiday season. 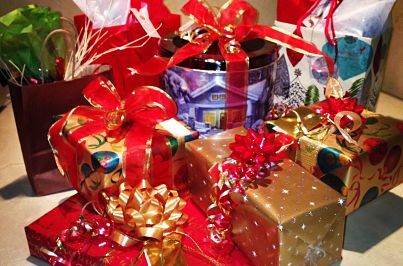 Mindfully accept there will be gift clutter, and trust me, there will be plenty. But not without consequences. The more you have, the more you will be forced to negotiate. How will you be managing the ins and out of this holiday frenzy? Well, that all depends how much stuff you have. If you have a lot of stuff, then that’s a lot of conversation. The late George Carlin will always be fondly remembered for his insightful comedic bit on stuff. He was right about how particular we are about our stuff. But, stuff is just stuff. It is made up of a bunch of material acquisitions, not living things. They can certainly bring you immeasurable joy but they won’t hug you back, and hopefully possessing them, won’t define you. They are merely things, not people. Admittedly, we all have stuff…but when does it become clutter? Cars: “We have been pushed out of our rightful home, and left out to rot in the cold. We have been replaced by towers of stacked boxes of clutter that you never use. You drive us everyday. Who’s more important, the useless clutter or the valuable car? Use your stuff. Honor, respect, and enjoy what you own. It should reflect who you are today, and above all, know where it is. More importantly, holding on to stuff that is no longer used, or no longer relevant in your life, is pointless. Use it or donate it. Share what is overabundant. Are you a good caregiver to your stuff? Hope so, ’cause they’ll never tell. How Well Do You Accelerate Through Transitions? Dave on How Well Do You Accelerate Through Transitions? Nancy Borg is a Professional Organizer, and owner of Move the Mess. 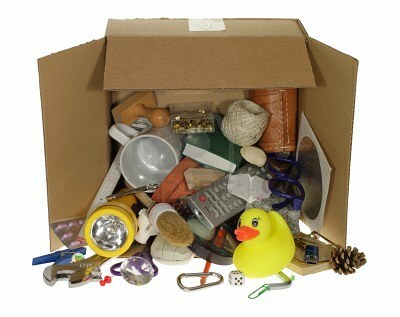 She specializes in Residential and Home-Office Organization, servicing both Nassau and Suffolk counties. She is a proud member of the National Association of Professional Organizers (NAPO) and active member of a local neighborhood group; Professional Organizers of Long Island (POLI).